Today's the day! 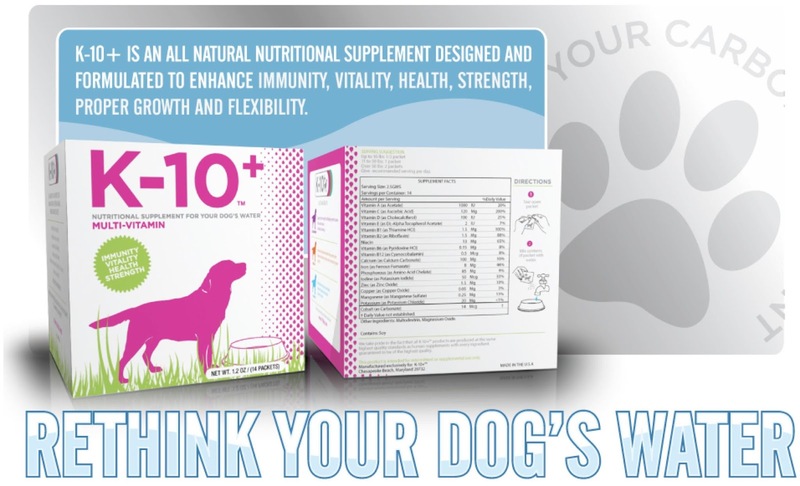 Today begins the entries for our latest giveaway, K-10+ multi-vitamins for dogs. 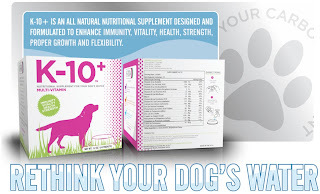 These supplements help assure your pup is receiving what is needed from their daily diet. They're tasteless, odorless, and easy to administer. Don't miss this opportunity to ensure your dog is healthy and happy! Each winner will receive a box of K-10+ multi-vitamins; each box contains 28 packets for great health. Entries will be accepted through Monday, November 5. There will be a total of 4 winners, to be announced on Tuesday evening, November 6. Good luck! I feed Sissy a good grade of food and give her plenty of water and exercise. I feed my dog all natural food! I keep my dogs healthy by feeding them organic grain free food, giving them Omega 3 supplements, supplements for their hips and joints, keep them at a healthy weight, and love and play with them! I feed them good food, check their bodies everyday for any thing different. Get their shots. Give fish oil every night. Feed them healthy food, lots of fresh, clean water, and walk them for exercise. Good food, fresh water, exercise and supplements. Clean teeth along with all of the regular standards. Lots of love and attention to go with all of the norms. I keep Coco healthy by giving her multiple vitamins every day, feeding her grain free food and food I prepare, limiting her treats, brushing her teeth, her fur, giving her flea/tick and heartworm meds monthly and taking her for walks and getting her exercise. Feed him good food, vitamins and make sure he gets plenty of exercise and attention! Good nutrition, daily exercise and lots of love. We feed Dumpling good quality food and treats, give him plenty of exercise, and make sure to brush his teeth! Happy = Healthy. Good food, fresh water, and when I'm home, they're always in bed with me. high quality food, regular exercise, limited vaccines, etc. I try to keep my dogs healthy with good nutrition and veterinary care, not to mention love!